The way many real estate agents operate when advising a seller on home pricing is to present a seller with a range of prices, often a low sales price and a high sales price. The spread between the two prices will be relatively small. It's the home seller who selects the listed sales price, and it's the real estate agent who provides the information to help educate the seller. Although, you can see why many sellers will often gravitate to the high sales price. That's just human nature. If you ask a person do you want more money or do you want less money, what do you think a person will say? Why would a person give up money one thinks one is entitled to receive? However, sales prices fluctuate in real estate. Why Is There No Exact Price? There is a range and not a defined exact sales price because an estimate of market value can vary from individual to individual. Take an appraiser, for example. Take 5 appraisers and ask each to appraise a home. Odds are each appraisal will be different. An appraisal does not mean the home's value is predetermined, but between all 5 of the appraisals, there will be a range of value, fairly close to each other. There probably won't be any wild swings in value. Yet sellers are sometimes tempted to jack up the price of a home to a number that might appear astronomical to a neighborhood real estate agent. Sellers might not know how a real estate agent determines value, and they might not give a hoot about the comparable sales. How sellers derive at a value is varied. They might remember a home that was once for sale a few months ago, which could very well be an expired listing today, and decide that their home worth is X amount more. For no logical reason. That X amount is probably based on a nice round number that might have no bearing on market value. Why Won't a Home Buyer Just Make an Offer? The listing agent is not working hard enough to find a buyer. Buyers do not understand the inherent qualities that make the home so incredibly valuable. The listing company is spending advertising dollars in the wrong areas. 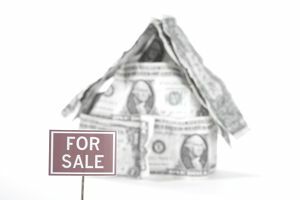 However, generally, those are not the reasons the buyer has not made an offer. First, to make a purchase offer, a buyer will expect to see the home in person. Buyers tend to tour homes that are priced in line with other homes on the market. For example, if a buyer is looking for a home within a certain neighborhood or ZIP, the buyer's agent might send the buyer listings within a particular price range. An overpriced home may not even appear in the buyer's list of homes for sale. If an overpriced listing appears in a buyer's group of homes for sale, it's because the buyer is looking for a home in that particular price range. However, because the home is overpriced, it will immediately fall to the bottom of the buyer's list of homes to tour, if it's not outright rejected. The buyer will want to tour the more desirable homes that fit specific requirements. An overpriced home, by its very nature, will not fall into those specific requirements because it will be missing the upgrades, space or location of the homes for sale that are priced accordingly. The main reason a buyer will not just "make an offer" on an overpriced listing is because that particular home does not appear on the buyer's radar. If the buyer never discovers that the home is available for sale, the buyer will never step inside that home. No personal tour, no sale. Further, most buyers do not go out to buy a home hoping that they can make a lowball offer and win that home. Buyers do not want to insult a seller and will avoid an uncomfortable confrontation. Sellers might believe that a buyer is free to offer any price the buyer chooses to offer, but buyers don't think that way. Buyers don't want to offend. On top of this, their buyer's agents might believe an overpriced listing is priced so high because the seller is stubborn and refuses to listen to reason. Buyer's agents don't want to work with an unreasonable seller, either. They would rather ignore that listing and show homes for which sellers are reasonable and eager to sell. How Far Overpriced Is Too Far? Where does one draw the line at overpricing? What kind of price is too high? Depends on the range of values for a neighborhood, but a list price bonus that exceeds 10% of market value is too high for homes priced under a million. Especially a sales price set at 25% of value or more, well, that's just a seller who enjoys looking at a for sale sign in the yard. According to the experts, home sales prices should have a flexibility range of -3% to +3% of the sales price.